I have noticed that the Constellation Wing (7days) from the login check event has been activated after claiming it from the login check window. 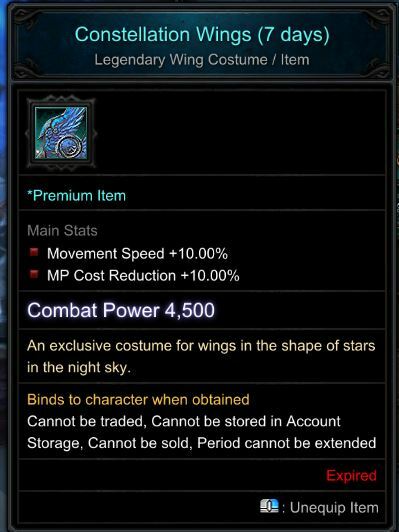 It should be the expiration will activated once the wing was equipped. When i noticed, I equipped the wing immediately for not wasting it. Some of my friends are unlucky because they didn't even use the wing because it's already expired when they want to use it. I remember, this is the bug happened before and now it's came back. I just want to report it here. Last edited by Goltebbb; 14-06-18, 10:20 PM.